To me, sweet, savoury, rich and healthy are the essential building blocks of a delicious brunch. I really love making brunch, because it gives you the chance to something a sweet and indulgent (like cinnamon buns, pastries, scones, croissants) and balance it with savoury flavours, either healthful (slimmed-down broccoli cheddar quiche) or not so much... (quiche lorraine). 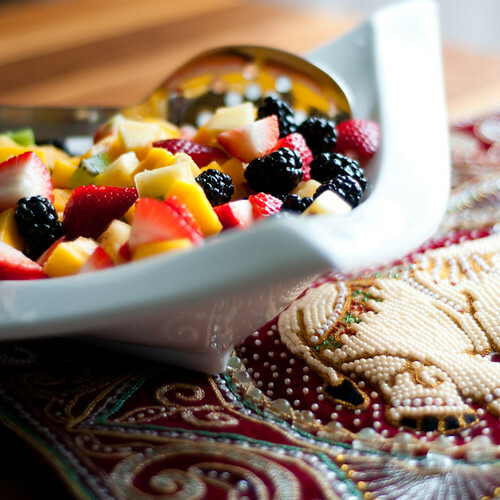 I like to finish brunch with a nice fruit salad. 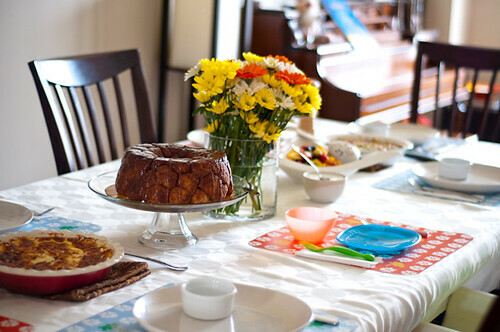 For my morning-after Easter brunch, I had the challenge of having made a (last-minute) big dinner the night before, so I didn't have any time to prep anything in advance. I chose everything in the menu because it could be thrown together relatively quickly, and would also hold quite well. These types of dishes are also great because you can really make them super healthy, or make them more indulgent. For this brunch, I decided to make a broccoli cheddar crustless quiche. This was a healthier recipe from Cooking Light, though I didn't really follow it to the letter (I don't believe in throwing out egg yolks!). For the more indulgent recipe, I found an absolutely exquisite crustless quiche lorraine recipe on epicurious. I do recommend a couple of tweaks, as I found the resulting quiche could have benefited from an extra egg (it was a little watery....but still yummy). 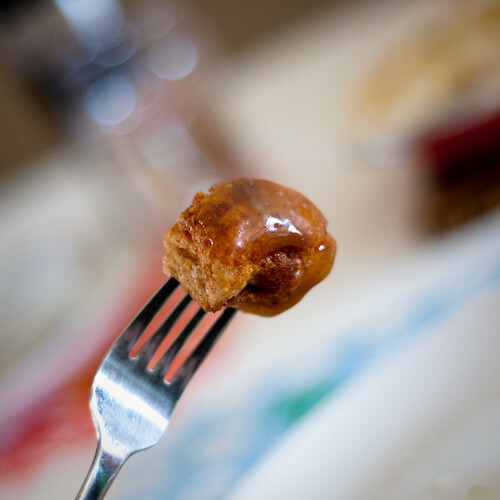 The sweetness of the meal came from what one of my guests dubbed "the love-child of a timbit and a cinnamon bun" - monkey bread with caramel glaze. 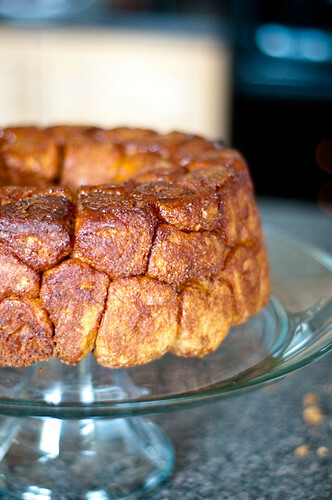 I've been hearing about monkey bread for a few months now, and it seems this 50s mainstay has made a comeback of late. I couldn't find a recipe that was quite what I wanted, so I've taken inspiration from a few different versions and come up with my own - a half-whole wheat, spiced version covered in an exquisite caramel glaze (the glaze being a last minute addition because I felt the bread looked a little drier). 2. Combine. No need to add anything more. This is a delicious, healthy addition to any meal. 2. Heat oil in a large nonstick skillet over medium-high heat. Add onion and garlic; sauté 1 1/2 minutes. Add broccoli; sauté 1 minute. Spread broccoli mixture into a 9-inch pie plate coated with cooking spray. Combine milk and next 8 ingredients (milk through eggs) in a large bowl. 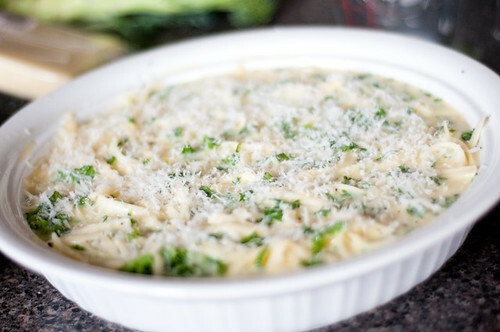 Pour milk mixture over broccoli mixture; sprinkle with Parmesan. 3. 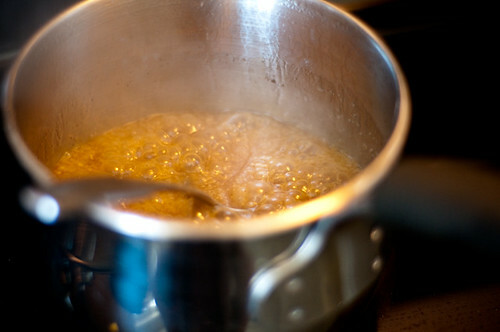 Bake at 350° for 40 minutes or until top is golden and a knife inserted in center comes out clean; let stand 5 minutes. 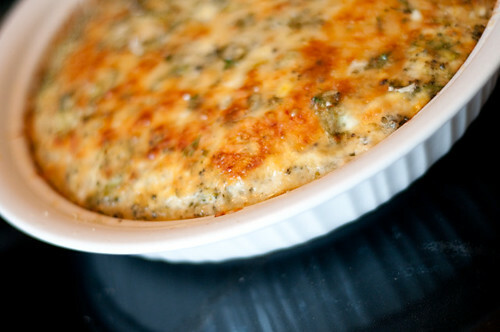 This quiche is very tasty and super easy to throw together. I cut mine into eight pieces, because I was serving two quiches to seven guests (this way, everyone can have a piece of each!). If it's all you're serving, you'd probably want to cut in six pieces. 2. 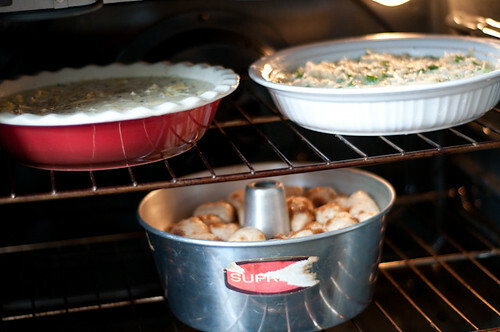 Butter 9-10 inch pie plate/quiche dish, then sprinkle all over with bread crumbs. 3. 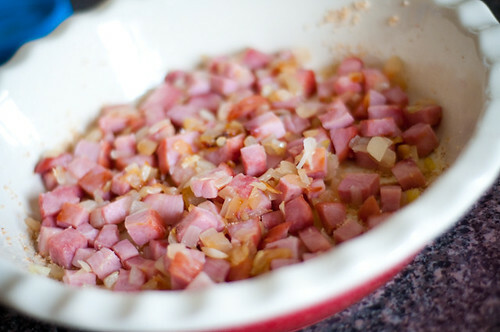 Cook onions with ham in butter in a skillet over medium-high heat, stirring occasionally, until pale golden, about 5 minutes. Spread in dish, then evenly sprinkle cheese on top. 4. 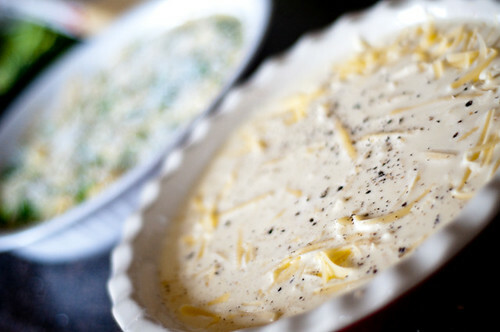 Whisk together eggs, cream, milk, and 1/2 teaspoon pepper and pour over cheese. 5. Cool slightly before cutting into wedges. ***Note that the initial recipe called for cooking at 425F for 20-25 minutes. I had two other things to bake that necessitated a 350F oven, so I just modified. I liked the results. Also, I love the convection function on my oven - even with two quiches and a batch of monkey bread, everything ended up evenly and perfectly cooked. Score! 1. In a stand mixer, combine flours, yeast, pie spice and salt. 2. In a small saucepan (or in the microwave) heat milk, water, oil and sugar until a thermometer reads 110-120F (warm but not burning) and sugar is dissolved. 3. Add milk mixture and the egg to the flours and process with dough hook (or stir with strong arm!). Once everything is all combined, you should have a soft dough - it should be a tiny bit sticky, but not ridiculously so. If there is too much flour, add a little more milk. 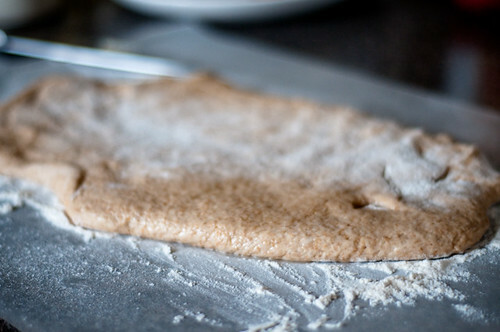 If the dough is a liquid, sticky mess (more likely), add more flour, about 2 T at a time. Knead/process dough for a couple of minutes. 4. Transfer dough to an oiled bowl, turn to cover with oil. Cover bowl tightly with plastic wrap and place somewhere warm to rise for an hour. I like to put mine in the oven with the light on. Out of the way, and nice and warm. 5. Sprinkle work surface with flour (I like to cover mine with waxed paper so I'm not stuck scrubbing dough bits off the counter). 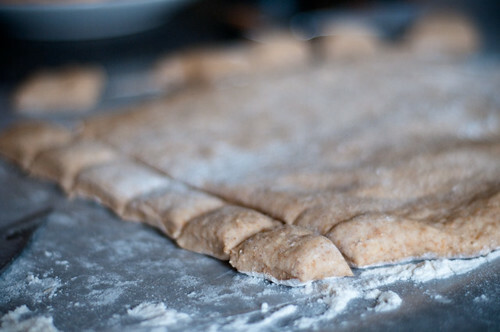 Spread dough out into a large rectangle. 6. Cut into 70-ish pieces - about 1 inch diameter...this is not an exact science though. I just use a butcher knife. I leave my pieces mostly rectangular...you could try to make them more ball-like, but if you just plump the sides of the dough rectangles, they get round enough for me. 1/2 cup butter (unsalted), melted and cool enough to get your fingers in. 1. Combine sugar and cinnamon. Take a tube/bundt pan and butter/grease it. 2. Dip each dough ball into butter. Let excess run off (you can try using a fork for this...it's a messy process no matter how you do it. 3. 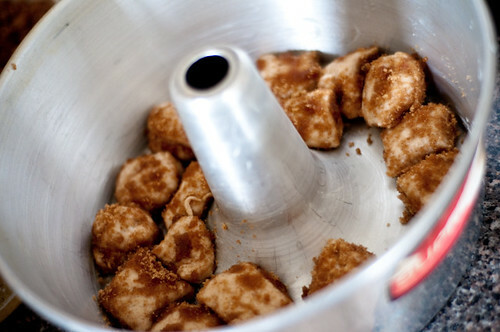 Cover dough in brown sugar/cinnamon mixture. Place in tube pan. Continue. 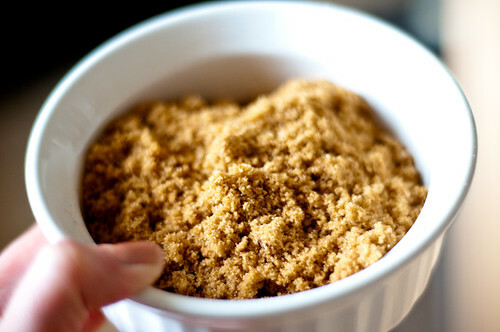 I found that most of the way through, my brown sugar was reduced to a buttery paste. Whatever. It still worked. 4. 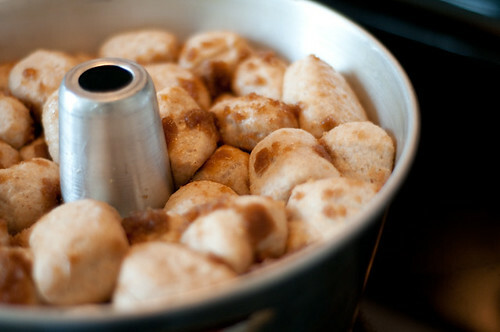 Continue layering dough balls around your tube pan until you run out. Cover tightly with plastic wrap and let rise for another hour. 5. If your monkey bread was rising in the oven, remove from oven. Preheat oven to 350F. Remove plastic wrap. Bake 35ish minutes at 350F. Let sit in pan for five minutes, and then remove from pan. 1. In a sauce pan, melt the butter with the two sugars. Bring to a boil and let the sugars dissolve. 2. Add the whipping cream (there will be serious bubbles going on). Cook together. Add cinnamon and salt (if needed) and continue cooking until thickened slightly. 3. Remove from heat and let cool for five minutes. 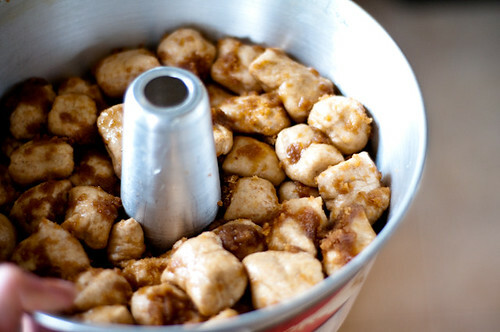 Slowly pour over still-warm (but not too hot) monkey bread. This is the ultimate. I would be lying if I said that six people did not polish this off in one fell swoop. It's really freaking good. Like my guest said - love child of a timbit and a cinnamon bun. MAKE IT NOW. You know what would also be good though? A savoury version, with herbed dough, dipped in garlic butter, then rolled in parmesan. And served with either a marinara sauce, or an herbed garlic butter glaze. The mind, it boggles, and the possibilities are infinite. YUM!!! 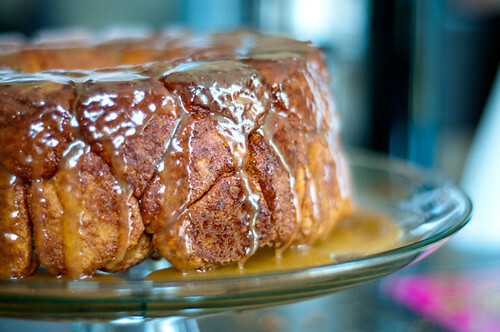 All looks delicious, but that monkey bread looks fantastic! Leslie - that brunch menu looks divine! 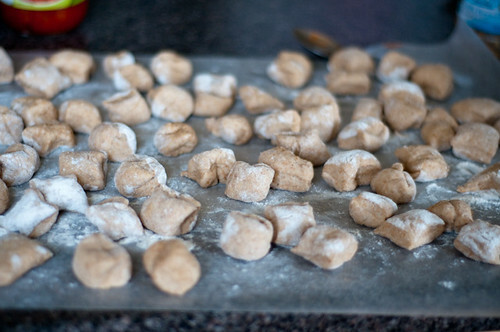 Kudos to you for making the dough balls for the monkey read from scratch! Our Eyes Eat First - the dough is super easy if you have a mixer. I probably (okay, definitely) wouldn't do it if I had to knead by hand, but the mixer does all the work. OMG! 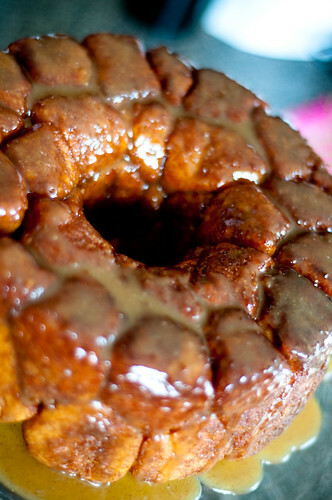 That monkey bread.... dying!!!!! Can I just say how much I want to sample each and every food item you posted. Wow, honey, that is some good looking food! Great post and wonderful blog!! 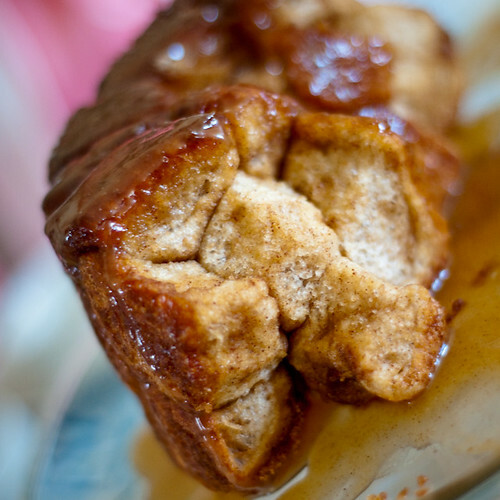 I love the sound of the monkey bread! And the sauce... yummo... Shame I'm trying to keep away from baking for a while after Easter! 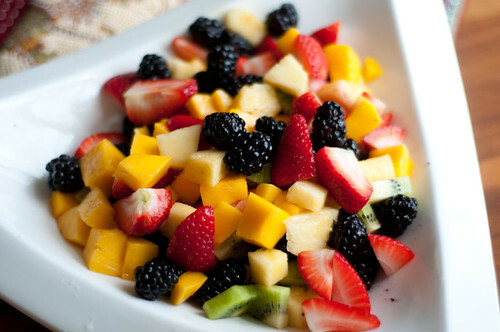 Fruit salad for me all the way for now :-) which also looks delish. I made the broc cheese quiche. Did you chop the broccoli or cook it whole? It was delicious, but mine was really watery. I ended up cooking it for an hour and then cutting it into pieces and letting them dry out. It was still pretty wet! Trying it out tonight! Thanks!! !